A central line is known by multiple names ie. central venous catheter or central venous line. There is also a variation of the traditional central line which most commonly enters via the neck/chest or the groin called a peripherally inserted central venous catheter (PICC line) which most commonly enters via a vein in the upper arm. Central lines are defined as a hollow flexible intravascular tubes/catheter that terminates at or close to the heart and are used for infusion, withdrawal of blood, or hemodynamic monitoring. These catheters are commonly made of silicone rubber that can have a portion outside of the body for direct access. 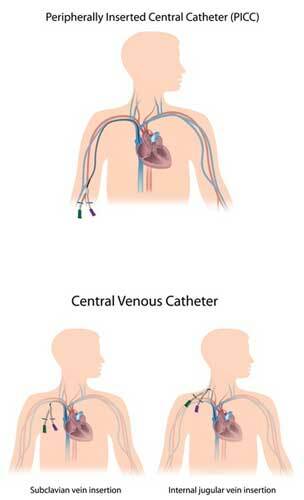 Traditional central venous catheters usually enters at the chest or neck, such that one end of the tube/catheter enters via the internal jugular vein, subclavian vein, subclavian veins or the femoral veins and terminates in the heart or within a great vein such as the superior or inferior vena cava. Again this is in contrast to PICC lines which enter via an arm vein such as the Brachial or Basillic vein but also terminal in or near the heart. These catheters can also be tunneled under the skin before entering the vein for long term access (tunneling under the skin allows greater resistance to infection) or they can be directly placed into the vein without tunneling. Most commonly these catheters are used for administering fluids, medicines, nutrients, obtaining blood samples and measuring central venous pressure. Other less common locations for termination of a central line tip (catheter tip) include the aorta, pulmonary artery, brachiocephalic veins, subclavian veins, internal jugular veins, femoral veins, common or external iliac veins. In neonates for example these central lines are commonly placed in the umbilical artery or vein. The decision regarding where to place these lines and where the catheter tip terminates depends on the use of the catheter. However as stated earlier these catheters will most likely terminate in or near the heart within an adjacent great vessel to allow direct administration of injected material into the systemic blood stream. The reason central lines are used instead of a simple IV which can be placed in a peripheral arm or leg vein is that they provide higher flow rates for injections and are indicated for specific medications or treatments which cannot be given through a peripheral arm vein. They are also useful for long term venous access when it is necessary as regular IVs generally only last a few days before becoming dysfunctional. 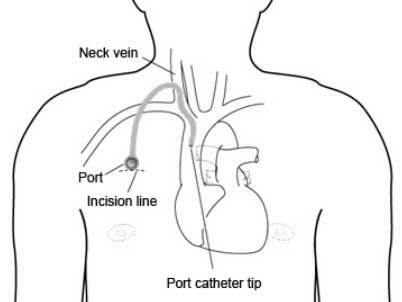 Different than traditional central lines placed in the neck/chest or groin and IVs placed peripherally there are peripherally inserted central venous catheters (PICC Lines). 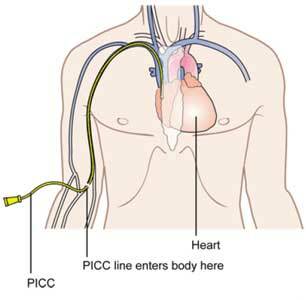 These PICC lines are inserted peripherally much like IVs but unlike IVs they are threaded through the vein and terminate with their tips near or in the heart like traditional central lines. IVs are generally very short and just terminate in the arm. Flow can be controlled in both PICC lines and traditional central venous catheters. When they are not in use, they can be easily clamped. When in use, it can be attached to a syringe with medication or a drip. Central lines are placed for many indications in both the hospital and outpatient settings. They can be placed emergently such as in a trauma (commonly non-tunneled traditional central venous catheters) for administrations of fluids and medication during a life threatening trauma or they may be placed for dialysis (Vascath or Permcath) or for chemotherapy (Portacath). They can also be placed for via an arm vein (PICC line). Some other indications for central line placement include. Parenteral nutrition which is a method of intravenous feeding providing nutrients to a person by bypassing the normal swallowing and digestion phase. Conditions which require treatment that may take months or longer of intravenous drugs to complete therapy such as in chemotherapy. In patients who are receiving intravenous drugs that can cause phlebitis in peripheral veins (examples include calcium chloride, amiodarone and vasopressors). These drugs irritate peripheral (small veins) and need to be delivered into central (large) veins. For patients who require large quantity of blood (transfusion) or fluids in a short period of time such as occurs in the trauma setting. For dialysis in kidney failure, apheresis, plasmapheresis or continuous renal replacement therapy. An advantage of central venous catheters is that they can be left in place for longer periods than a peripheral IV. Central lines can be left in for months or even years (commonly portacaths). This can greatly decrease the need for needle pricking every time medicines are given or a blood sample is obtained. A peripheral intravenous catheter, on the other hand needs to be changed every 24-48 hours. As mentioned above medicines like chemotherapeutic agents, vasopressors and TPN have a tendency to cause phlebitis (irritation of small veins) when administered through peripheral intravenous catheters which does not occur when these drugs are administered via a central line into large central veins. There are many types of central venous catheters each with its own indications, uses, method of insertion and care instructions. Well go through the types of catheters here. Central venous catheters can be broadly broken up into two categories which include tunneled and non-tunneled central venous catheters. Both of these types of catheters allow vascular access and are composed of tubing/catheters which terminates at the level of a large vein or near the heart. The non-tunneled catheters are commonly placed directly into a vein which is most commonly the internal jugular vein (Recommended method of catheter insertion at LA Vascular). These non-tunneled catheters can also be inserted into the subclavian vein although this is more commonly done in emergent situations without ultrasound guidance and as such has a higher rate of complications associated with it. Tunneled catheters on the other hand are usually passed/tunneled a few centimeters (5 to 10 cm) under the skin before they enter a vein (most commonly the internal jugular vein under ultrasound guidance). The most common reason for placing a tunneled catheter versus a non-tunneled catheter is to avoid catheter/central line associated infections. Catheters that are tunneled are associated with a significantly decreased occurance of central line infections. This is thought to be party associated with the bodies own immune defenses keeping the tunneled portion of the catheter protected from infection but it is also likely due to the fact that most tunneled catheters contain a cuff which sits in the tunnel and allows ingrowth under the subcutaneous tissue providing a barrier against bacteria and infections. Because of this it has become common practice at LA Vascular to place tunneled catheters in those who require long-term (greater than two weeks) of venous access for dialysis. Additionally the act of passing the catheter under the skin keeps the catheter stable and makes it less visible. Unless in the emergent setting both tunneled and non tunneled catheters should be placed under ultrasound and fluoroscopic guidance. This is done to assure appropriate placement and positioning of the catheter. A common indication for placement of a tunneled central venous catheter is when venous access is required for an extended period of time (several weeks to months) as is often the case in those who need home nutrition support (TPN) or those who require long term infusions such as chemotherapy or repeated blood samples. However given that tunneled catheters are by design require more dissection of tissue during the procedure patients who are prone to blood loss because of taking asprin or anticoagulants need to have platelet and anticoagulant levels evaluated before placement of these tunneled catheters. 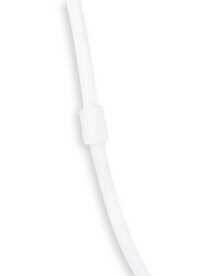 A Permcath is a tunneled cuffed dialysis catheter that is more commonly used to provide access for dialysis. 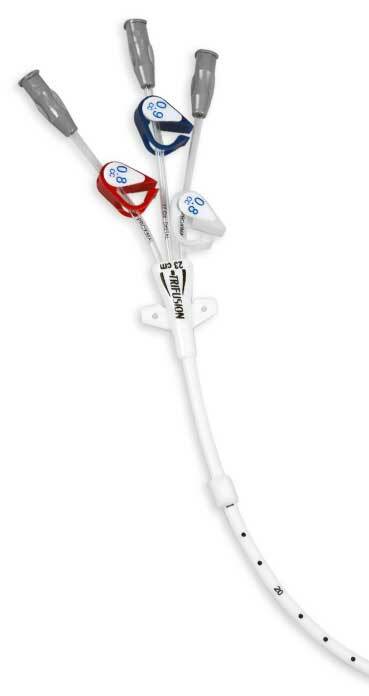 These catheters are very often used to allow AV fistulas/grafts or other long term dialysis access to be placed or to mature (become ready for use). A Vascath which we will talk about a little later is a non-tunneled, non-cuffed alternative to a permcath which is placed for short term dialysis access or in patients who have bleeding risks (Vascath requires less dissection than a permcath as it’s placed directly into the vein without tunneled under the skin and is therefore less likely to cause bleeding). A Hickman catheter is another example of a catheter which is tunneled under the skin before it enters the vein (commonly the internal jugular vein). These catheters much like other tunneled catheters have a cuff which is part of the catheter and sits in the tunneled portion of the catheter. The bodies subcutaneous tissue grows into this cuff in order to keep in in place and to avoid infections. The catheter may have a single lumen or multiple lumens depending on the purpose for which it is being used. A Hickman line is more commonly used for administration of chemotherapy, withdrawal of blood samples, for aphresis or dialysis and TPN. Broviac catheters are similar to Hickman’s lines but have a considerably smaller lumen and are used in children. Groshong is a type of tunneled central venous catheter. Just like a Hickman’s line, it has its tip in the Superior Vena cava and exit site at the chest, but the difference is that groshong has a three way valve, which remains closed when not being used. It opens inwards when blood is being drawn and outward when it’s being transfused. Trifusion catheters are tunneled triple lumen central venous catheters that act as long-term catheters for central venous access. They are specifically indicated in bone marrow transplants in multiple myeloma , administration of long-term antibiotics, infusion and frequent blood sampling. Dialysis catheters are catheters that provide central venous access to allow for dialysis to be performed. These catheters are responsible for carrying blood to and from the machine during dialysis. The dialysis catheters have two lumens, although both lumens terminate in a vein near the right artrium of the heart one of the lumens is referred to as a “arterial” lumen and the other one a “venous” lumen. The arterial lumen carries blood from the body to the machine and the venous lumen carries back from the machine. The recommended type of catheter to place for dialysis is a cuffed tunneled catheter, if the required time is for more than 3 weeks. On the other hand, a non-cuffed tunneled catheter is used when it is needed for less than 2-3 weeks. Permcath is a tunneled dialysis catheter that is one of the preferred choices when it comes to a long term dialysis for kidney failure treatment. Indications: dialysis catheters, specifically permcath is used in dialysis, plasmaheresis, administration of drugs, chemotherapeutic agents and sometimes TPN as well. 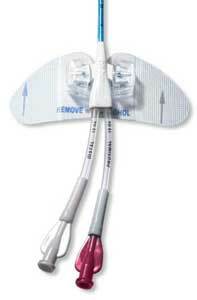 Non- tunneled central venous catheters are used for short term therapy and emergency situations. These catheters are fixed on the skin usually with non-absorbable sutures (prolene or ethilon) to avoid slipage of the catheter. Since non tunneled catheters do not have a cuff like their tunneled counterparts the suture is the only thing that is keeping these catheters secured to the patients. Non-tunneled catheters can have anywhere from a single upto quadruple (4) lumens. This provides multiple short term accesses into the venous system for infuse multiple medications and therapies simultaneously. Non-tunneled catheters can be inserted in subclavian, jugular and femoral veins. Vascath is a non-tunneled dialysis catheter designed to stay in place for a period of two to four weeks. This catheter may have two to three lumens. The primary function of vascath is to be used for dialysis in patients with acute renal failure. The two large bore lumens carry blood to and from the machine and a third lumen, if present is of a comparatively finer caliber and is used for administration of fluids and medicines. Once the catheter has been inserted, an x-ray is done to confirm its exact position. Tunneled catheters are inserted into the vein and the remaining part of the tube is tunneled subcutaneously to an exit site. Tunneled catheters due to this tunneling remain secure and are protected from infection. A non-tunneled catheter on the contrary is inserted directly into the vein and there is no tunneling. A tunneled catheter is always inserted under the guidance of imaging techniques, where as non-tunneled catheters can be inserted quickly as a part of a bedside procedure, making them ideal at the time of emergencies. A tunneled catheter can be left in place for a long period but a non-tunneled catheter has to be removed after a certain duration usually in 2-3 weeks to avoid catheter colonization. Ports are similar to tunneled catheters in many ways, however, they are entirely placed under the skin with the catheter portion of the port is tunneled from the reservoir site on the chest to the neck or upper chest where it enters into the central veins much like a tunneled catheter. The post reservoir has a diaphragm which is usually what is punctured through the skin to access the port. The port is usually palpated (a bump is felt under the skin where the port sits on the chest wall) but is not external. 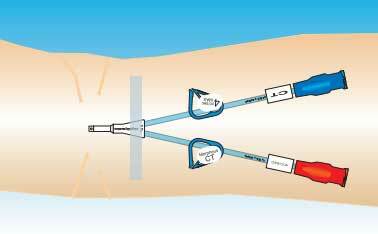 In order to access a port a special non-coring needle called a heuber needle is used to access the port under the skin and medicines are injected or blood is drawn from the port. Implanatble ports have several names. Port-a-cath, mediport, powerport and smart port are all alternative names for an implanatble port. The two types of ports are single port and double port where double ports provide two lumens and areas where they can be accessed to allow for multiple simultaneus infusions. Although the skin needs to be punctured when a port is accessed most patients describe this as a more comfortable device as it is entirely under the skin. Given that ports are placed under the skin without any external portion the infectious risk of ports is significantly less than other types of catheters. Indications – Ports are used in chemotherapy, TPN, administration of medications, frequent blood sampling and for injecting contrast agents for imaging studies. Now these two central venous catheters belong to two totally different categories. Port-a-cath is an implantable port and sits completely under the skin whereas permcath is a tunneled dialysis catheter which has an external portion. Additionally port a caths are commonly used for chemotherapy or long term medication administration whereas permcaths are meant for dialysis. Dialysis catheters like permcaths generally have much largers lumens because they need to be used to draw off and return large volumes of blood from the patient to the dialysisi machine and return the blood quickly as well. Permcath is an excellent choice for patients on dialysis as a part of treatment plan of kidney failure. 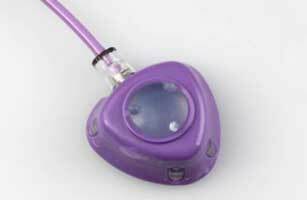 Port-a-cath is more useful in patients who require continuous intravenous infusion of antibiotics or other drugs. A peripherally inserted central venous catheter (PICC) enters via a brachial vein puncture on the right arm with the catheter (demonstrated in yellow) traversing the subclavian vein and terminating at the superior vena cava/right atrial junction. PICCs are typically directly inserted into the veins in upper arms such as the basilic or brachial vein but these catheters can also be inserted into the veins of the neck or chest. The tip of the catheter passes through the vein and advances until it terminates in a large vein in chest or near the heart. PICCs are similar to most other central venous catheters, the differentiating aspect of PICC lines is that they are small bore catheters usually 5F and are inserted in a pheripheral vein (usually the arm) under ultrasound guidance. Flouroscopy (real time x-ray imaging) can be used to confirm catheter tip positioning with insertion but these catheters are most commonly placed just with ultrasound and the catheter tip is then confirmed by a conventional chest x-ray. PICC insertions is associated with lesser risk of complications when compared to emergently placed central lines which are placed without ultrasound guidance. These catheters can be left in place for long periods of time for administration of fluids or medications such as antibiotics or chemotherapy. What is a midline catheter? A midline catheter is similar to a peripherally inserted central venous catheter (PICC), the only difference being that midline catheters are cut to a shorter length. A midline catheter is threaded into a large vein in your upper arm much like a standard PICC line but given their shorter catheter length they commonly terminates in the vein of the arm as opposed to the larger central veins near the heart. Because of its positioning a midline catheter is not suitable for patients on TPN and chemotherapy. It is also not used to administer hyperosmolar solutions because these can irritate the smaller veins of the arm. Removal of a midline catheter or a PICC is easy and usually painless. These catheters are commonly held in place by sutures to the skin or by a securing device called a statlock which is taped to the skin. Once the sutures are removed or the statlock device is disengaged from the skin the catheter can be pulled out of the vein much like a long IV line. The removal of the catheter is followed by a sterile dressing placed over the site. A Statlock device commonly used to secure a PICC line to the arm. There are a few absolute contraindications to placement of a PICC line. Given their relatively small size and peripheral (Arm) insertion into smaller veins these catheters can generally be placed in patients with low platelet counts (up to 50K platelet counts is our measure at LA Vascular) and in patients who have been placed on antiplatelet or anticoagulation medications. However care should be taken when being placed in patients with severe coagulopathy or bleeding diathesis. Additionally PICC lines are commonly not placed on the arm on patients with renal insufficiency (define by Creatinine >2) because the in these patients the veins of the arms are usually salvaged for use in arteriovenous grafts/fistulas (AV grafts/fistulas) which are required for patients on long term dialysis. Alternatively a tunneled small bore catheter placed in the chest can be used to achieve the same function as a PICC on a patient who has renal insufficiency. Cannulating veins has now become a common practice in day-to-day hospital and interventional routine. About 8 percent of patients who are hospitalized for any reason will have a central line inserted. Before choosing the site where a central venous catheter has to be inserted, one needs to have a thorough knowledge of sites where central venous lines should not be inserted or condition in which this access is contraindicated. Let us briefly list these sites and conditions before proceeding with the actual discussion. • In the sub clavian vein, In coagulopathic patients or those who have been heparinized. • At sites with surgical and cannulation scars due to higher chances of failure. Central venous catheterization makes use of seldinger approach commonly. This technique makes use of a guidewire and an introducer needle to gain central venous access. While consent is being taken from the patient, it is important to discuss the details of the procedure, its benefits, risks and complications so that patient is able to extend full co-operation. While the central venous catheterization is being performed, it is required to monitor heart rate, blood pressure and oxygen saturation. The position of the patient is another important factor for successful cannulation. An appropriate position is one that maximizes the comfort of patient and makes the palpation of anatomic landmarks easy. Depending on the site of cannulation, supine, flat and trendelenburg position is ideal for the procedure. The procedure of central venous catheter insertion involves certain steps that are common between all the central lines. The differences would be covered separately as we come across various types of central lines. The superficial and deep structures of the puncture site and the needle tract are infiltrated with a local anesthetic agent like 1-2 percent lidocaine. Anesthesia makes the entire a procedure painless. While the patients may feel a dragging sensation when the catheter is being placed, they will still not complain about the procedure being painful. It should be noted that needle is advanced and withdrawn in the same direction and needle should not be moved laterally , as that would lacerate blood vessels. A small caliber exploratory seeker needle (22-22 gauge) is the standard needle for internal jugular vein that reduces the chances of arterial puncture. Dark, non-pulsatile blood is venous and bright red, high pressure, pulsatile blood is arterial. This is an important but imperfect way if confirming if it has been placed in the vein or artery. Central venous catheters have a larger diameter than guidewires and needles and their entry requires soft tissue dilation. A deep stab incision at the site of entry followed by threading of a stiff tapered dilator over the wire dilates the track. Catheter once inserted, is fixed by means of sutures. A chest X-ray after the completion of procedure will confirm the catheter position, its course and the position of the tip and eventually the correct central venous catheter placement. Once steady, unhindered blood is seen, intraluminal placement is confirmed. Once the patient has been sedated, two small incisions are made. Incision at the site of entry is usually given at the bottom of the neck and the one at the site if exit is given on the chest. Next, a tunnel is made between both the ends and a catheter is pulled through the tunnel, such that it opens in a large vein just above the heart. Hickman catheter insertion- hickman catheter is inserted through subclavian or jugular vein. Once an incision is made, a guidewire is inserted through the needle that advances along the length of the vein. Hickman’s catheter is inserted from the exit site towards the entry site. Permcath insertion- An incision is made, guide wire is introduced, through which the catheter is threaded under the skin. A permcath has a cuff that is also placed under the skin, to keep the catheter stable. Trifusion insertion- This catheter is inserted percutaneously and is then tunneled under the skin towards the exit site. This catheter also has a cuff, which keeps it in a stable position. This temporary catheter is typically inserted into the internal jugular vein. The patient lies flat and is asked to keep the arm still. The only difference between the tunneled and non-tunneld catheter placement is that after induction of anesthesia, a non-tunneled catheter is inserted directly into the vein through skin without tunneling. ICU placed central lines- Like all the other central venous catheters, ICU central lines also make use of the seldinger technique. 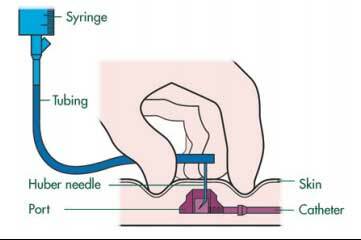 Once the landmarks are located, anesthesia applied and catheterization is done using the seldinger technique. Vas Cath- is inserted in one of the neck veins such that the tip advances through the length of the vein and the tip advancing towards the Superior vena cava. Once laced correctly, the catheter is secured with stitches in position. PICC- PICC is inserted like all the other central venous catheters, the difference being that they are introduced through the peripheral veins in upper arms, under ultrasound guidance. The tip of the catheter then terminates in a large vein. The placement of ports involves small surgical procedure, which allows the port to be completely placed under the skin. A skin incision is given on chest for port, another is given on the neck, and the port is placed under the skin under imaging guidance and the anesthesia effect. • Hand hygiene- An alcohol sanitizer or an antimicrobial soap would very well take care of this part of the checklist. • Site selection- is another important step. Insertion of CVC in subclavian vein carries the lowest risk of infection followed by internal jugular vein. Insertion in femoral vein should be avoided. • Chlorhexidine antiseptics- This solution should be applied for 30 seconds and then be allowed to dry before catheter insertion. • Aseptic technique for inserting and changing needles. The first five form a part of a checklist called pronovost checklist and according to a study these five steps reduced the incidence of CVC related bloodstream infections. Dressing of catheter needs to be changed at intervals instructed by the clinician. The first step in changing the dressing is the catheter site assessment. This involves noting any redness, swelling or bruising at the site of insertion. Next, integrity of the dressing is checked. It has to be changed if its compromised, damp or loose. Start by scrubbing > 0.5% chlorhexidine based preparation with alcohol, and scrub it for 30 seconds in a back and forth motion. Let it dry. Sterile gauze, sterile transparent, semi-permeable membranes are few of the options that can be used to cover the catheter site. In case patient sweats excessively or if there is blood oozing from the site, use gauze dressing till the problem is resolved. Gauze dressing is changed every 24-48 hours. tegaderm film is a transparent dressing that is made of a thin polyurethane membrane. The membrane is coated with a layer of acrylic adhesive and is impermeable to microorganisms, offering great protection against contamination. It is a waterproof dressing, which is resistant to water and body fluids, allowing the patient to take shower without changing the dressing. The tegaderm film is permeable to moisture and water vapour, which lets it maintain a moist environment at the surface of the wound. • Transparent nature of the membrane allows one to constantly monitor the site for infection, leakage and misalignment. Contra-indications- The film should not be used for keeping arterial catheters in place or at infected sites. When tegaderm is used to dress catheter sites, the area should first be cleansed with alcohol or above mentioned preparation and it should be made sure that all traces of liquid/fluid/solvent are removed. Tegaderm should not be left in place for more than seven days, especially when it is being used to retain an intravenous catheter. Telfa dressing is a type of dressing film made up of a thin layer of cotton fibres that are absorbent, enclosed in a sleeve of polyethylene terephthalate, which is perforated in a regular pattern and is sealed along the edges. The presence of plastic makes sure that the film does not adhere to the wound and perforations allow the exudates to pass into the pad from wound. The frequency of changing the dressing depends upon the nature and condition of wound. Primapore dressing is an adhesive dressing with a low-adherent absorbent pad and a non-woven top layer. The non-woven layer is flexible enough to allow body movements. The highly absorbent pad maximizes the absorption of blood and exudates from the wound into the pad. The low adherent wound layer minimizes trauma to underlying tissue on removal of dressing. Mepore dressing is a self-adhesive absorbent film with an absorbent pad in the centre on a non-woven, apertured polyester fabric, coated with an acrylic adhesive. The dressing is covered by two pieces of overlapping film for aseptic application and is available in a variety of sizes. Indications- used in lightly exudative or post-operative wounds, especially those at awkward contours or joints. The only contra-indication for the use of this dressing is an allergy to acrylic adhesives or a sensitive, easily damaged skin. • Broad spectrum of activity against micro-organisms. • Conforms to shape and site of wound. A biopatch for central lines is a small foam disc, which is impregnated with chlorhexidine gluconate and is directly placed at the insertion site. This round patch has a slit which allows its placement and removal easily. The patch fits around the catheter. The patch provides anti-microbial action for as many as seven days. The active ingredient of the patch chlorhexidine is active against gram positive and gram negative bacteria. It also disinfects and cleans the skin without damaging it. Indications- Other than being used as an anti-microbial, it’s used in local infections, in treatment of burns, wounds, for hands of surgeons and the treatment area before diagnostic manipulation. Contraindications- allergic reactions and sensitivity to chlorhexidine. There are a number of complications and infections associated with the use of central venous catheters. 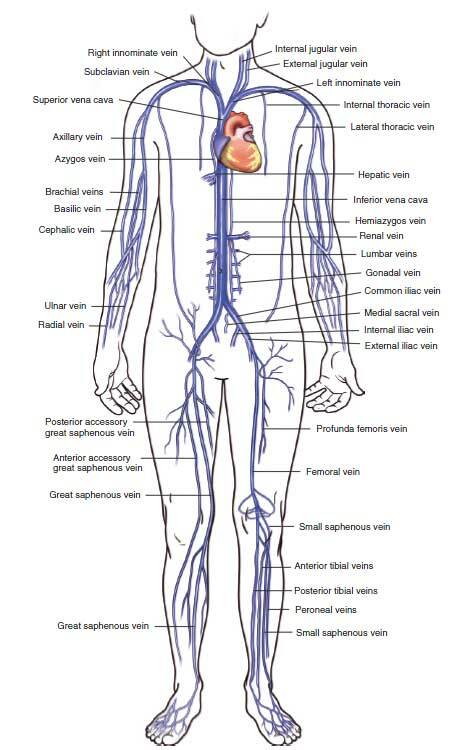 These complications are common between all the central venous catheters. CLABSI’s- Central Line Associated Bloodstream Infections are linked to all the catheters. These infections are responsible for a large amount of mortalities and significantly reduce the quality of life as well. If you have developed CLABSIs, you are likely to develop fever, chills and the skin around the catheter is sore and red. With no other potential source of infection located, a bloodstream infection is likely to be associated with central line. There are certain steps that need to be taken, if central line infections have to be avoided. Hand hygiene, barrier precautions, chlorhexidine preparation, full body drape, daily catheter monitoring and selection of optimal site are five of the most important steps that need to be taken every time a catheter is inserted, examined or removed. Infections and thrombosis- This is another life threatening complication of indwelling catheters. Arrythmias- ventricular arrhythmias and bundle blocks are very common occurrences during the insertion of central venous catheters. These result when the guidewire or catheter is placed in the right atrium of the heart. However, this complication is avoidable, if the guidewire insertion is limited to less than 16cm. Delayed symptoms may be observed as catheter commonly migrates up to 3cm due to movement of patient. Vascular injury- The complication of arterial injury is present in around 3-15% of the patients. As soon as arterial invasion by needle is suspected, the needle is withdrawn and pressure is applied for 15 minutes such that there is no occlusion as that would lead to formation of hematoma. However, if the arterial cannulation is not recognized, it can lead to life-threatening hemorrhage. Venous air embolism- if a needle or catheter is left open, air easily enters the vascular area. Patients affected by this complications show cardiovascular and pulmonary symptoms like chest pain, collapse, dyspnea, coughing, tachyarrythmias and respiratory distress. • Catheter seals not being monitored properly. Other central venous catheter complications include endocarditis, asystolic cardiac arrest, catheter malposition, carotid artery puncture and ventricular perforation. Port-a-cath complications include bleeding, infection (immunocompromised individuals being more prone to this complication), injured vessels due to prolonged use, thrombosis and pneumothorax. Air embolism is a life threatening condition that could be a result of device fragmentation or if an air pocket develops in the central line. Rare complications of port-a-cath include pinched-off syndrome, in which a part of the device is pinched between clavicle and first rib. Dialysis catheter infection is an occurrence that you are likely to come across if you are using dialysis catheters. According to a study dialysis catheters have a higher risk of being tied to a central venous catheter infection as compared to other modes of venous access. According to a study published in Journal Of American Society Of Nephrology, there is a 38 percent greater risk of developing a major heart problem and a 53 percent greater risk of dying in patients using catheters.